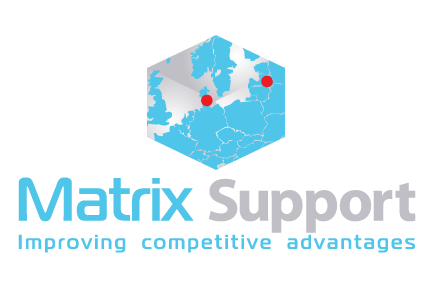 Matrix Support is a privately owned company with headquarters in Aalborg. We help small and large companies with financial management, accounting, auditing, accounting, tax, VAT and taxes, as well as other financial tasks. We provide professional advice for national as well as international companies, and we have done since 2014. At Matrix Support we have 24 employees who all burn to help our customers with their financial tasks. Our great personal commitment and our professional skills form the basis for all advice. Read about our competencies here. When you choose Matrix Support as your financial partner, you get a business-oriented, honest, transparent sparring partner with high professional expertise. Read all about our values here. Our mission is to allow you to focus on what you and your business are best at. We act as your professional partner, ensuring that you can focus on getting stronger in the market while we arrange all the paperwork. Read about our different cooperation arrangements here. Behind Matrix Support is CEO, Martin Lampe. Martin Lampe has more than 10 years of experience as CFO and CEO in retail and manufacturing companies. He is educated in HD in Accounting and Financial Management and has also taken an MBA. Martin Lampe’s experience as CFO and CEO in both B2B and B2C companies has given him an in-depth understanding of the economic challenges in different industries in practice. Therefore, Martin Lampe will also be the key person in the financial advice of your company. Therefore, Martin Lampe will also be the key person in the financial advice of your company. Martin Lampe has extensive experience in acquisitions and consolidation of companies, and thus he is also able to advise and guide your business in relation to optimizing the economically heavy records. Should Matrix Support be your financial partner?